Satisfy your shopping hobby with the helpful Colored Twill Easy Tote. 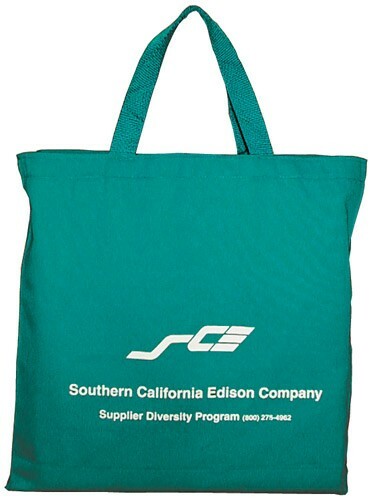 This 18 inches x 14 inches x 4 inches tote is made out of durable twill fabric and features colored web handles to make for easy transportation. A variety of color options exist so that you can select the shade that suits your event needs. Make this a smart business investment by including a personal message or your company logo through printing.